If you’re looking for new exterior doors to put the finishing touch on your home, you’ve come to the right place. Our wide range of patio doors can be fit into any opening while our entry doors and storm doors are second to none. 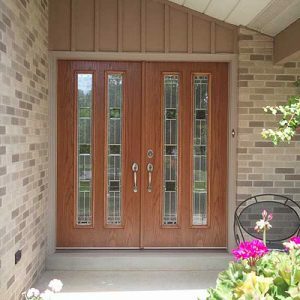 Your replacement doors should provide safety without sacrificing beauty. 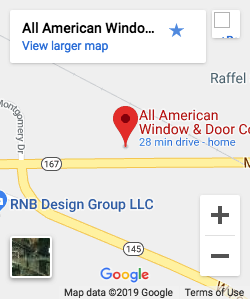 The quality steel and fiberglass replacement doors offered by All American Window and Door are strong, durable, beautiful, and provide exceptional energy performance. We will personalize the look and features to your unique specifications. Our replacement doors are manufactured by Maxima, a leader in quality replacement doors. Maxima entrance doors are made of 22-gauge galvanized steel, providing a top-quality replacement door that will keep your home comfortable and the extreme Wisconsin weather out. Our replacement doors are energy-efficient and come in a large variety of stain and paint colors, so you will find the perfect color to give your home to look you want! Our replacement doors also offer many style options, so whether you want to stand out or blend in, you will have that special curb appeal that makes your house into your home. 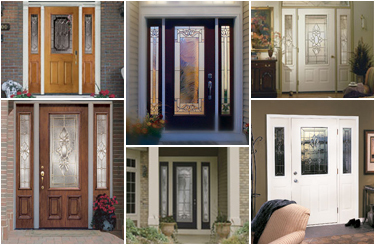 Choose between steel and fiberglass replacement doors! We offer quality ProVia exterior doors. ProVia offers four lines of fiberglass and steel professional-class entry doors. ProVia offers a visualizer tool that allows you to see how your new exterior door will look on your home. ProVia doors meet the highest standards for durability and energy efficiency and you can customize them to match the look of your home. Outstanding representations of woodgrain in cherry, mahogany, fir and oak finishes. Legacy Steel exterior doors with 20-gauge steel provide unparalleled security. Your home’s front door will ensure a memorable entrance that will provide curb appeal and make your home the envy of the neighborhood. What’s more, you needn’t sacrifice safety to get this beauty!